Everyone needs restorative dentistry at some point in their life, even those who take good care of their teeth! Whether you’re dealing with a chipped, cracked, decayed, painful, or missing tooth, Dr. Conklin and Dr. Ward are ready to provide the premium solutions you need. Using the most advanced technology and highest-quality materials, they’re able to repair your smile in such a way that no one will even notice that you’ve had dental work done. If you’re ready to get your complete smile back, we’re ready to help, so contact us today. With a dental crown, we can restore a damaged or broken tooth to its original strength and appearance in just two easy appointments. It works by simply fitting over the top of a natural tooth and protects it from any further damage. And with a bridge, we can help you replace one or more missing teeth in a row. It won’t just close the gap in your smile, but also improve your bite and prevent the remaining teeth from shifting into the space. Rather than traditional amalgam fillings, our practice uses tooth-colored fillings to fix small cavities and slightly damaged teeth. Why? 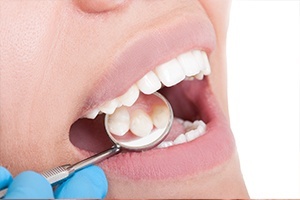 Tooth-colored fillings are made of a special material called composite resin, which can be shaded to completely blend in with your smile, making them practically invisible. This material also enables us to use much smaller fillings, allowing our team to preserve more of your natural dental structure while placing them. In the end, you get a tooth that looks great and can be trusted to last as well. 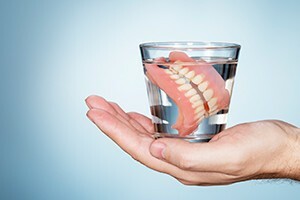 If multiple missing teeth are making your life more difficult every day, then dentures are ready to make it much easier. With high-quality, custom-made dentures, we can restore every aspect of your smile almost instantly. 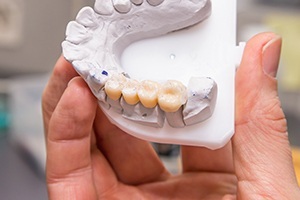 Partial dentures are able to replace multiple teeth while fitting in comfortably with the remaining ones, while a full denture can restore an entire row of teeth all at once. 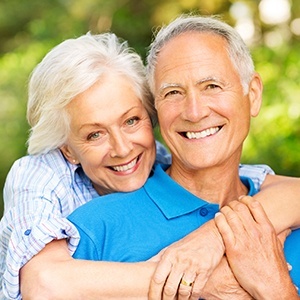 We’ll work with you to design a denture that allows you to eat, speak, and smile with complete ease.